Gain self-reliance and total assurance, knowing that you’ve chosen the right bags for your long-term food storage needs! Dry Packs brings you the perfect solution. These foil-lined mylar bags fit nicely into five gallon buckets for the ultimate in safety and security, long term. Set includes ten 20” x 30” 4.3 mil. Mylar bags, and ten 2000cc oxygen absorbers. Use together, and get food storage that you can count on! Don’t mess around with cheesy alternatives when it comes to long-term food storage! Instead… Reach for the solution that’s already widely used and well-tested in industries like food, medicine, and outdoor survival! 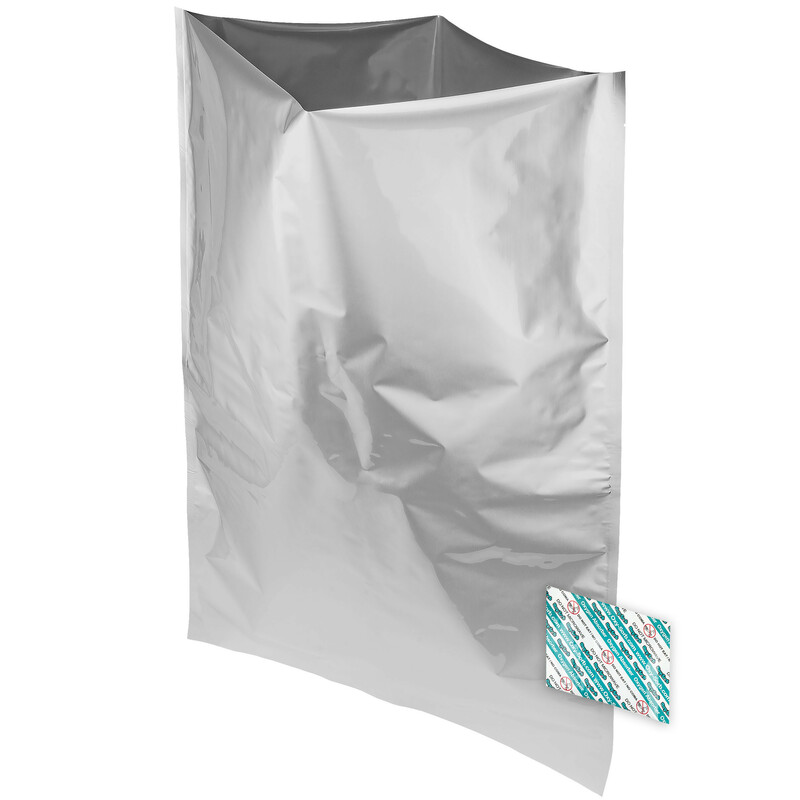 Dry Packs proudly brings you this set of bucket-sized mylar bags. - The perfect solution to your long-term storage needs, and MADE IN THE USA to boot! Just place one of your 20” x 30” foil-lined, 4.3 mil. thick bags into a standard five-gallon bucket of your choice. Load with goods for storage, and place an included 2000cc oxygen absorber in with your cache. – Seal it up using a handy handheld heat sealer (also available)… And you’ve got a storage solution that works for years, keeps food fresher longer, and ensures safety against rodents and oxidation! This set of ten FDA approved bags is the affordable and reasonable solution that gets you the long-term storage you need, at a fraction of the cost of other methods! Grab your sets today! – Have access to the perfect way to store your perishables long-term, easily and affordably, when you need it!